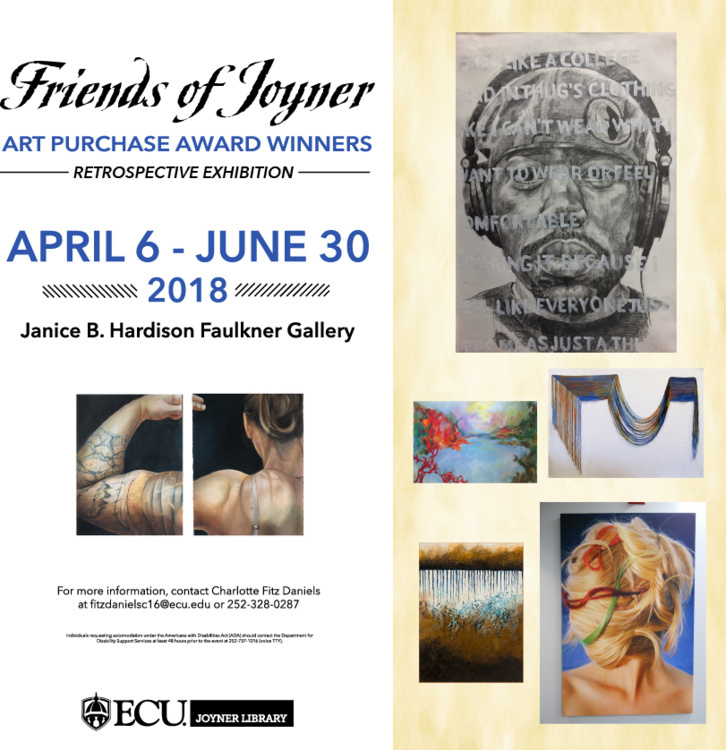 Since 2007, the Friends of Joyner Library Purchase Award has been awarded to a graduate student who is pursuing a Master of Fine Arts in a studio concentration at ECU School of Fine Art and Design. The winner is chosen each during Joyner Library’s Annual SOAD Graduate Student Art Exhibition. In collaboration with the School of Art and Design, this exhibit showcases some of the best work by graduate art students. This retrospective exhibit showcases the past winners.